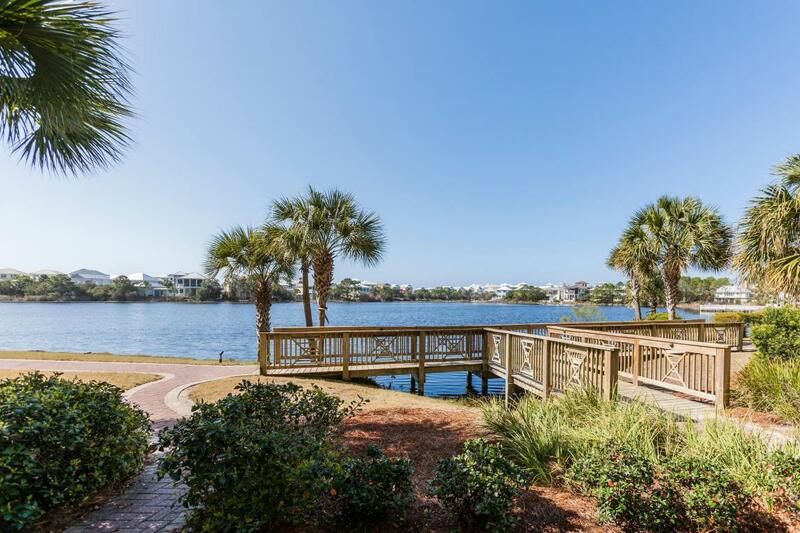 LAKE VIEWS AND GULF ACCESS IN CARILLON BEACH Beautiful 3BD/3.5BA with high end finishes, 10 foot ceilings, and first floor convenience. Large patio offers easy access to the lake and the stunning resort style pool which is surrounded by palms and boasts two spa whirlpools. 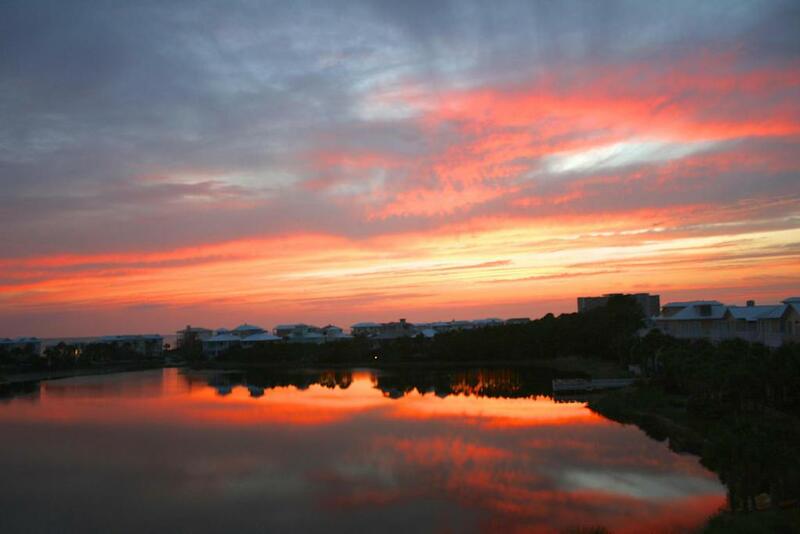 The Sunset and Sunrise Condominium buildings offer a unique opportunity to be lakefront and only a block from beach access. Each building houses 2 units on the first six stories and a penthouse on the seventh floor. 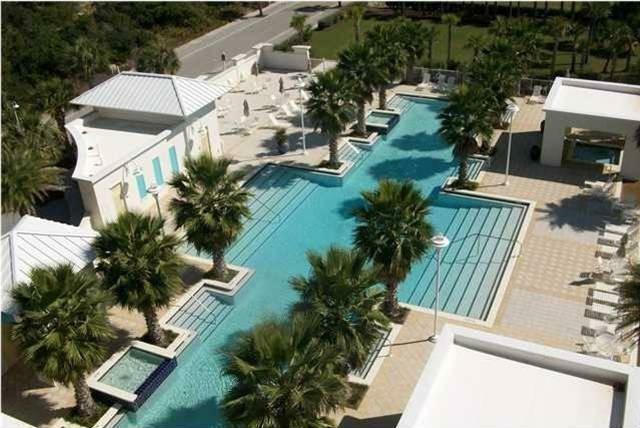 Carillon Beach is on the Gulf of Mexico and offers eight beach accesses and a beachside pool. The views and the amenities are a must see!Large living area is open to the kitchen and has views from every angle. Gourmet kitchen is equipped with Wolf brand six gas burner stove, built-in refrigerator/freezewine cooler, ice maker, and warming drawer. The oversized Master Bedroom enjoys beautiful views and access to the patio. Large Master Bath has double vanities, whirlpool tub, steam shower and large closets. Additional bedrooms with ensuite bathrooms that have large walk in showers. Carillon beach is an extraordinary beachside, gated community that offers an expansive beach, pools, tennis courts, parks and an easy lifestyle. Lake Powell and Carillon Lake are perfect for water sports such as kayaking, canoeing, water yoga and fishing. This spectacular property can be a primary home or investment opportunity, with rental projections of $60K per year. 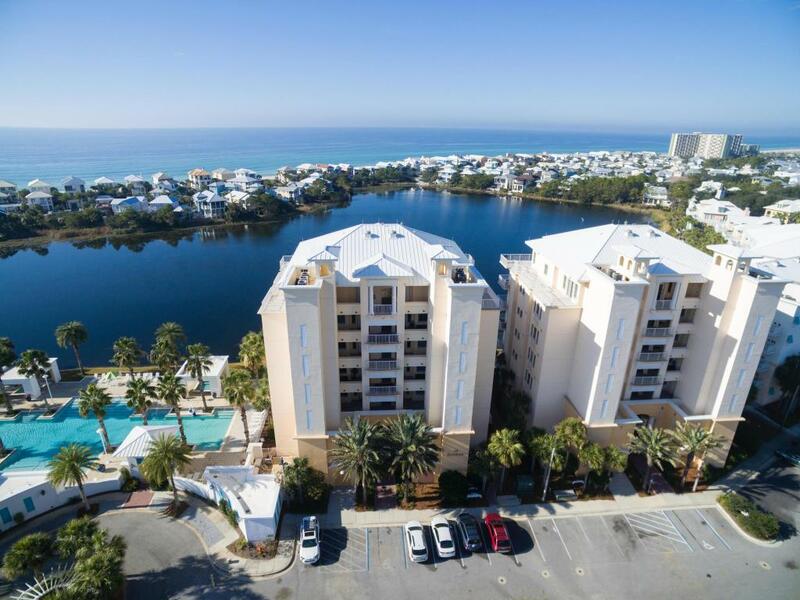 It is conveniently located 3.5 miles east of Rosemary Beach, 7 miles from Pier Park shopping and entertainment area, and approximately 20 minutes from the Panama City Airport. Easy access to Hwy 98 and Hwy 30A.